Text messages still play an important role in people's daily communication, and they always contain lots of personal privacy info or business details or something important that you don't want to lose. Thus, backing up Android text messages become more and more important in the digital life. You might have realized it but don't know how to do, right? Then, you've been the right place. Why? [Attention] If the messages is lost or deleted without backup, you'd better to learn how to directly recover deleted text messages on Android devices. 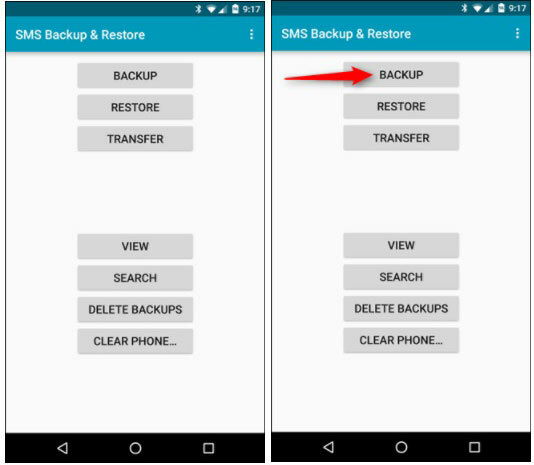 This post is going to show you how to backup SMS on Android with or without app. You can compare them and decide which one is better according to your own needs. Part 2: How to Backup Android Messages with App? How to Backup SMS from Android to PC without App? Backup messages and other types of files from Android to computer within few clicks. Selectively restore the data to an Android device according to your own needs. Backup Android messages, contacts, call logs, etc. without root access, and the backup files will never be replaced by the new one. Compatible with almost all Android devices, including Samsung, HTC, LG, Motorola, Sony, etc. How to Backup, Sync or Transfer Text Messages from Android to Computer? 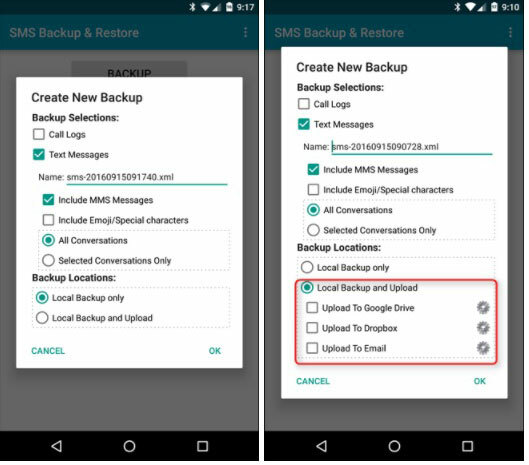 To backup SMS, you can select Messages and then hit the "Backup" button. The program will start scanning your device. 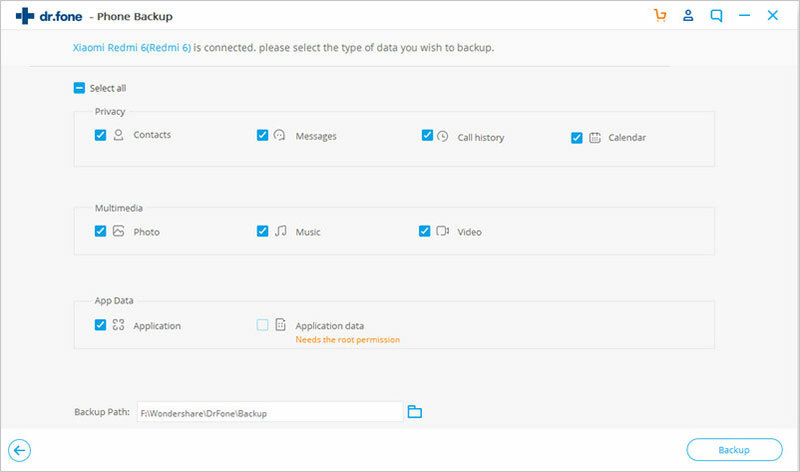 Choose "Select all" option if you want to backup everything on your Android phone. 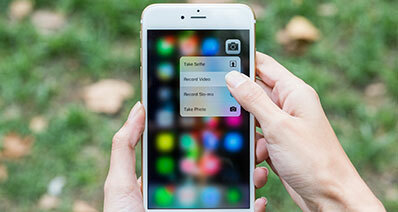 All of backup data will be displayed after scanning, including contacts, call history, messages, photos, videos and more. You can preview and tick those you want to restore. When the program informs you that the backup is completed, you can click on "View the Backup" to preview the backed up data. 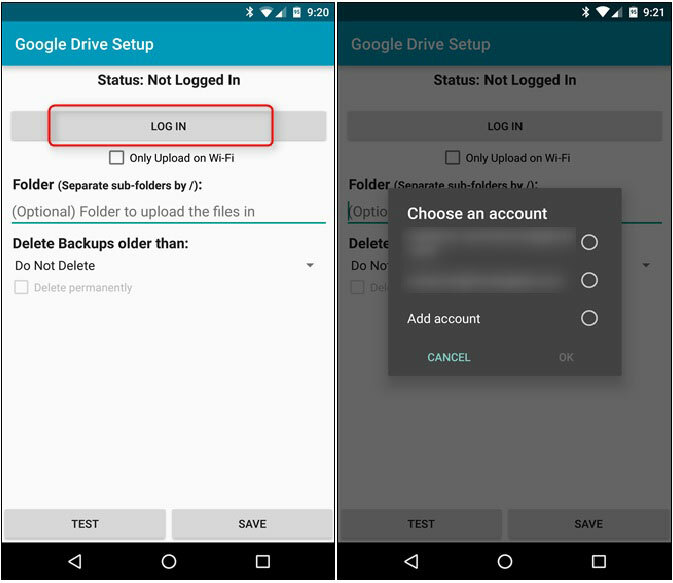 Then tap “Restore to Device”, you can restore the data to your Android phone or tablet. How to Transfer or Backup SMS from Android to Computer with App? Most people like to backup Android with Google, but just like we mentioned in Android Google backup, Google doesn't support backup SMS messages on Android automatically. 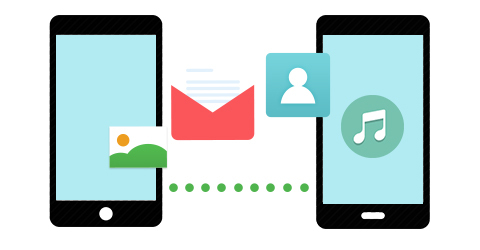 So, if you wish to transfer text messages from Android to Gmail, you need to install a 3rd-party application like SMS Backup +, or SMS Backup & Restore, etc. 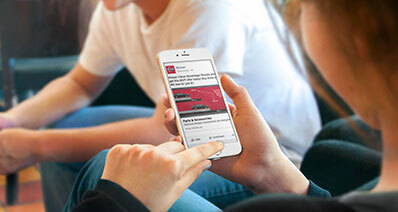 on your Android device. In this part, we're going to show you how to backup text messages on Android with app in details, you can follow the steps to sync or transfer text messages from Android to Gmail, Google drive or computer as you like. 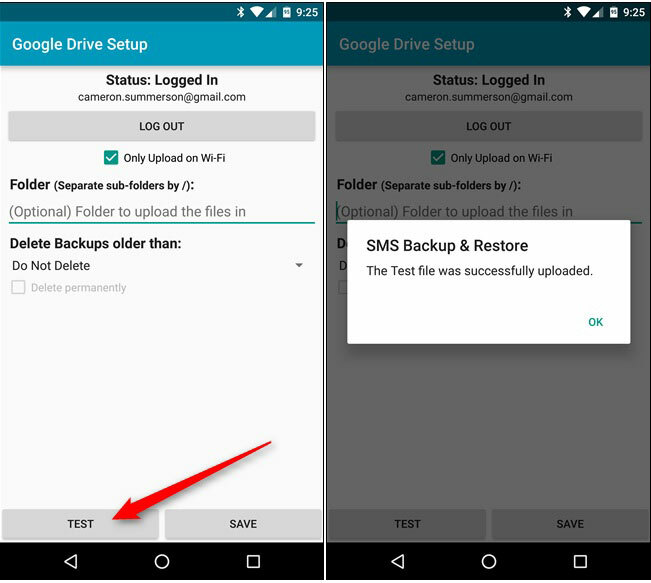 Step 1: Get the SMS Backup and Restore app from Google Play and install it on your device. The very first thing you'll do is setup the app and launch it. Now choose "Backup" option from the list. Select the "Text Messages" from the popup window. - Local Backup only: create a backup file and save it on your desktop computer. - Local Backup and upload: here you can directly upload the messages to Google Drive, Dropbox or email as you like. If you wish to sync messages from Android to Google, just choose "Google Drive" here. Or you can directly choose "Local Backup only" to store it on your desktop computer. Here, we'll take the option of "upload to Google Drive" as an example. Step 3: Login to the Google Drive and choose your Account. Grant SMS Backup & Restore permission to have access to your account. Select the folder where you want to have the backup or else it will choose the by default location. Step 4: Select the "Test" button and check all Backup SMS is done correctly or not. If it is successful, save those files and click on "OK" button. Step 5: Backup will automatically start and be uploaded to Google Drive, once it's finished. 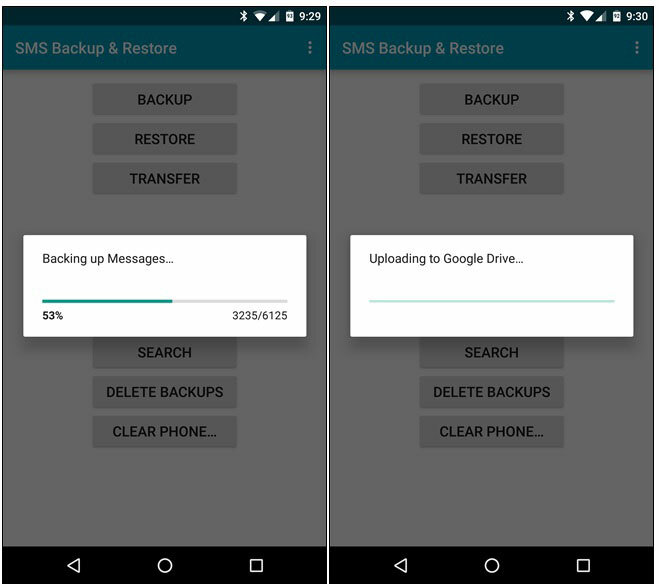 Now, you've known how to backup SMS on Android with or without apps. Which method are you ready to try first? 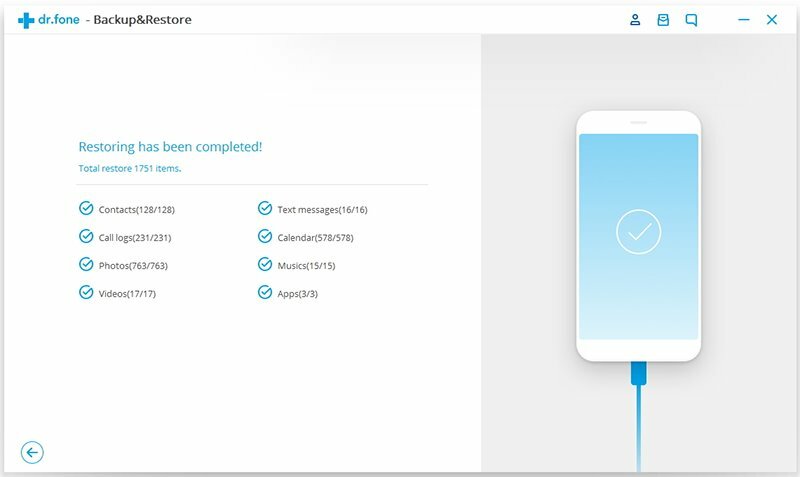 In my opnion, the first method will more sutaible to backup and restore text messages on Android after considering various factors, such as storage space, network, running speed, and so on. The iSkysoft Toolbox - Data Backup & Restore can help all of you to create a full backup of your Android phone or tablet, and easily restore selected files to target device with 1 simple click. And the backing up or restoring process will never be infulenced by the phone's storage space, network connection and other factors, so that you can greatly save your time on it. Sounds great? Now, just click the below icon to have a free trial on this powerful tool by yourself.